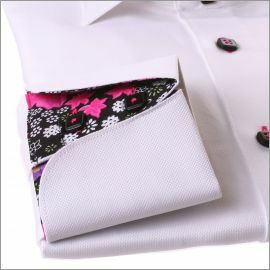 Different styles of shirt cuffs will dramatically change the look and feel of your dress shirt. 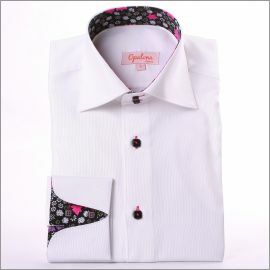 Cuffs present a different persprctive and level of formality. Barrel cuffs are useful for lazy people, who just want a functional cuff that looks presentable. Barrels are less formal as compared to french cuffs. Short people take note! 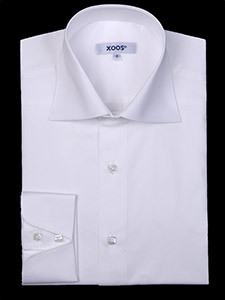 To give the illusion of longer arms, use the single button barrel cuffs as shown below. 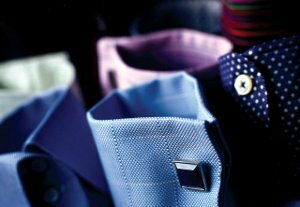 These cuffs are shorter, and look more proportional. Another view of a Napolitain Cuff. White fabrics all the way. Looks rather boring as compared to the flowery fabric right? But do take note of matching patterns and colors while wearing this cuff. It takes some skill to match colors and patterns correctly. Random picture of some shirt cuffs. I like the blurred background effect.